Usually when it comes to lime tree photos, I’m snapping the Linden Walk which is just a short trot from the house. But when I walked up there on Sunday afternoon the photos I took of it looked flat and gloomy. It was only as I was heading for home that there was a sudden change in the weather. Sun. Here it is shining through the lime trees that line the road beside the Linden Field. And here it is marking an end to our recent bout of storms and rain. At least for the next week or so. Time to get sowing and planting. 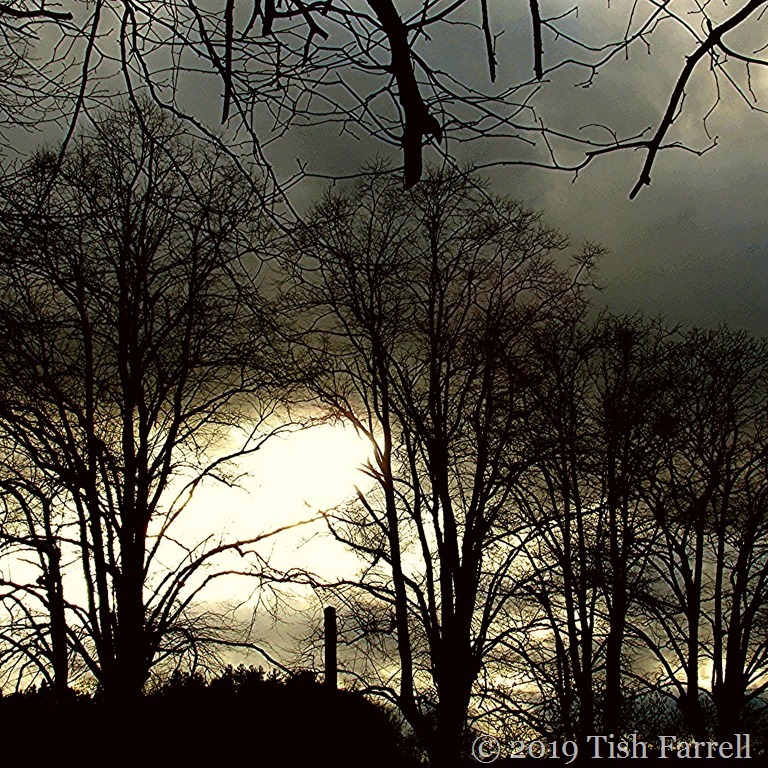 Posted on March 20, 2019 by Tish Farrell	This entry was posted in Landscape, Much Wenlock and tagged #SpikySquares, lime trees, Linden Field, Much Wenlock, Tish Farrell Writer. Bookmark the permalink. Nothing like a bit of back light, Tish! It was indeed rewarded. Thank you, Sylvia. I love it when that happens, especially when you wonder if it’s worth taking a shot, if the conditions aren’t right. That small change, happening at just the right moment, made for a wonderful effect on your photo! Couldn’t have put it better. Thanks, Debbie.